Chuo Malleable Iron is a recent addition to our lean tours to Japan. For further information, see our lean tour overview page. Company: Chuo Malleable Iron Co., Ltd.
Chuo Malleable Iron is a supplier of cast iron and aluminium components to the automobile and electric industries. The company’s major trading partners include Toyota, Denso, Daihatsu and Bridgestone. Chuo Malleable Iron has recently transitioned to the use of electric furnaces in their efforts to achieve improved environmental outcomes and just-in-time fabrication of components for their customers. The tour group visits Chuo Malleable Iron’s Nisshin factory, located close to Nagoya. The visit includes a presentation and Q&A session with senior managers and a site tour. Panasonic is one of the companies that we visit on our Lean Factory Tours. For further information see the tour overview page. 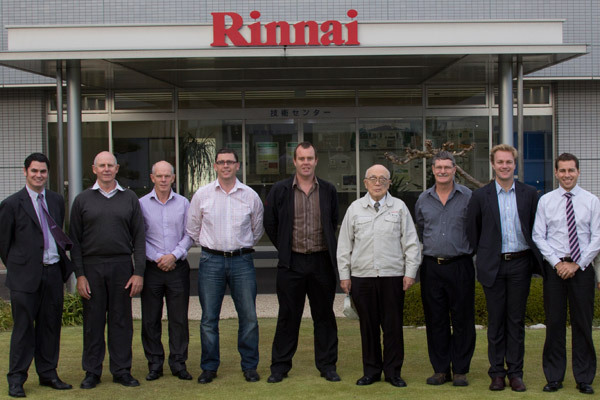 Rinnai is one of the companies that regularly features on our Lean Japan Tours. For further information see the factory tour overview page. Rinnai’s catchphrase “quality is our destiny” epitomises a corporate obsession with quality. They keep production of key components in-house at four of their own factories and seven manufacturing affiliates under the Rinnai Group umbrella. By realizing this high in-house production ratio, they have control over quality and strive for zero-defect status. The basis for manufacturing and all aspects of the process at Rinnai is to think and act from a scientific perspective. They have built a market-orientated production system that combines policy management, the quality control cycle, and continuous improvement proposal activities, based on a bottom-up approach hinging on the Toyota Production System, Total Productive Maintenance and Total Quality Management. All employees participate in improvement and TPM efforts. They maintain a multi-product, mixed-flow production system based on actual demand. Through their own logistics network, they can realise timely delivery. Managers lead the group through a presentation of Rinnai’s business and open the floor for any questions and discussion. The Chairman of Rinnai Corporation is Mr Susumu Naito. He is also President of the National Federation of Japan-Australia Societies and the New Zealand Honorary Consul in Nagoya. The Chairman is a frequent participant in our discussions. Toyota Motor Corporation is one of the companies that we routinely visit on our week-long lean manufacturing tours. 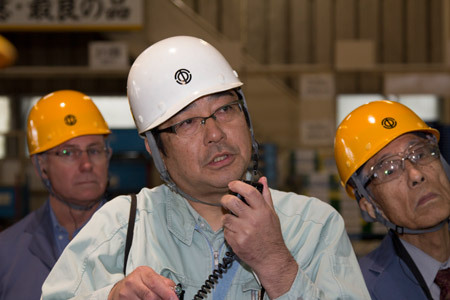 For further information about our Toyota plant tours see our Lean Japan Tours page. Toyota is the home of the Toyota Production System (TPS). 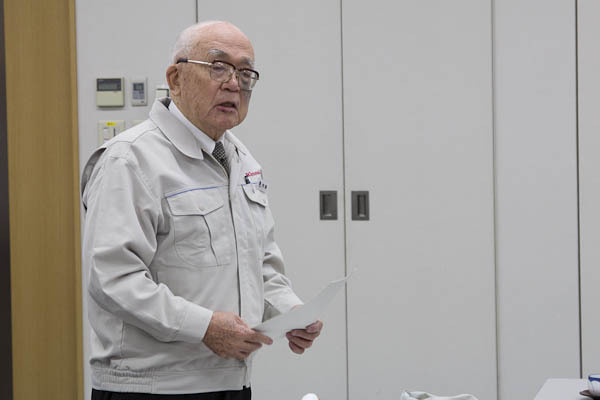 The lean manufacturing movement is based around the management principles, tools and culture that Toyota has been developing for over 60 years. Supported by the pillars of Jidoka and Just-In-Time, TPS aims to offer high quality, short delivery times, and reasonable cost through employee creativity and intense efforts to eliminate waste. It is designed so that machines and people alike stop production when there is equipment failure or any other irregularity in order for it to be immediately corrected. Also, it improves productivity without waste by manufacturing and delivering the necessary parts at the necessary time in the necessary quantity. 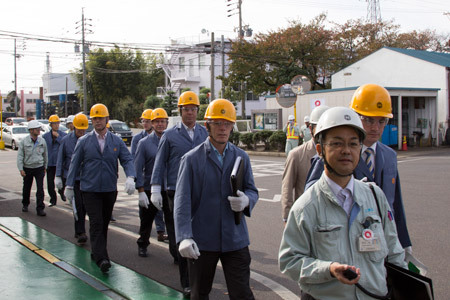 A tour of one of the nine Toyota plants in Toyota City is conducted by Toyota personnel. Facilities are set up inside the plant to give visitors a clear view of the operations and a true feeling of the shop floor atmosphere. Interactive training areas are also available to provide an indication of the extent and emphasis Toyota places on training its people. The factory visit incorporates content on the two pillars of the Toyota Production System; Jidoka and Just-In-Time. TPS tools are explained through video and, where possible, actual shop floor examples of the tools at work. The second half of the Toyota visit takes the group to the Toyota Kaikan Museum. The museum, located adjacent to Toyota global headquarters, is a showcase of Toyota’s philosophy and corporate direction. Areas of the museum cover environmentally friendly cars, safety and mobility, “Good Thinking, Good Products” (TPS), Toyota in society, motor-sports, and a display of the latest models from Toyota and Lexus. The TPS area in particular is a popular area for participants of this tour to gather and learn directly from Toyota about how it explains its system. Our week-long lean study tours to Japan include a factory visit to Gifu Auto Body, together with discussions with senior management. For further information, see our tour factory list. Company: Gifu Auto Body Co., Ltd.
Gifu Body is one of eight suppliers of finished vehicles to the Toyota Group and is recognised as a top quality Toyota supplier. Their major product is the Toyota Hi-Ace vehicle, and they also manufacture emergency vehicles based on the Hi-Ace design, along with automotive components. 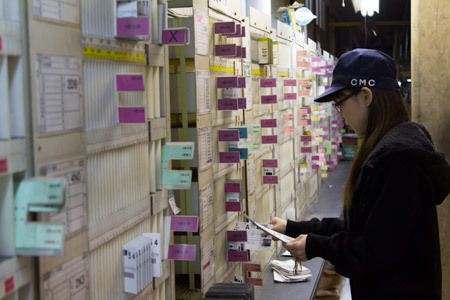 Gifu Body refer to their system as the Gifu Production System (GPS), but it is nothing but an execellent example of the Toyota Production System (TPS) at work. There are excellent examples of an electric kanban system, JIT delivery, customised equipment and poka-yoke. Gifu Body has a clever use of space throughout the plant. This has been required over the years due to the expansion of operations within building size limitations. The life of older equipment has been extended considerably through excellent 5S and TPM programs. The tour group visits three separate factories on this visit; the welding/paint/assembly factory, the pressed components factory, and the seat track factory. The shop floor tours give a comprehensive operator-level look at the factory operations even extending out to the logistics, maintenance and welding shops. Highlighted are simple but effective visual management tools, automated guided vehicles (AGV) and specific examples of inexpensive improvement ideas that have had a considerable effect on productivity. 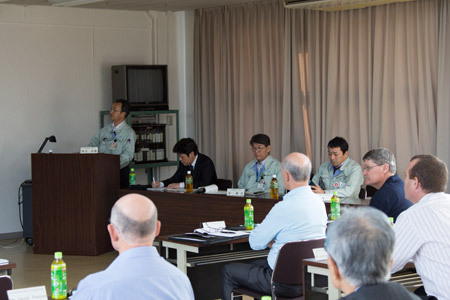 Company presentations and discussions take place together with a former manager who leads the group through the history and lean journey of Gifu Body. The manager provides an easy-to-understand background to the philosophy behind GPS and tangible examples of its success. The group also has the opportunity to openly discuss lean concepts and their application with the former manager. 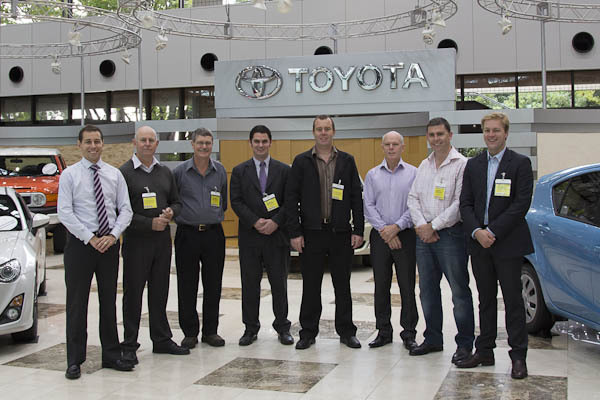 The visit includes a practical training session of lean concepts in a world-class Toyota Group training facility.